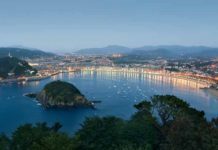 Spain is a beautiful country, with lots to see and do: historic monuments, charming towns, beautiful beaches, mountains, blue water, fiestas, sleepy, sunny villages and welcoming locals who spread their smiles everywhere around. It has one more valuable gem: the food. Spanish cuisine is not only delicious, but it’s also rich, diverse, and there are plenty of fast, simple dishes that are just as healthy and yummy as those that need hours of preparation. Trying the famous Spanish tapas, a variety of appetizers simply has to be a part of your trip to Spain. 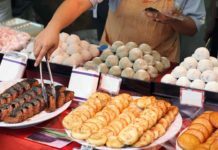 If you’re a foodie and eating’s always an important highlight of your journeys, you don’t need any convincing. If you’re not one of those traveling gourmets, well, you still need to eat something. 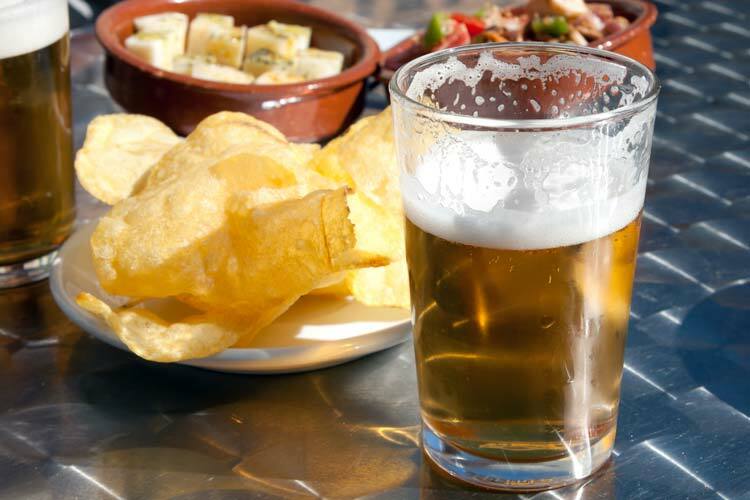 That’s why here’s a list of 6 top tapas tours in Spain, held in different Spanish cities. Accompanied by a wine connoisseur (a member of the Spanish Wine Tasting Association), you’ll get to taste at least five excellent wines. All of them are rated between 95 and 100 points by a wine guide and come from a private collection. As for the food, three stops and 10 or more tastings are included, so after the tour, you definitely won’t need a dinner. 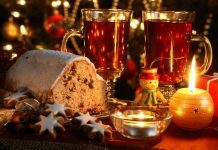 Wines, cheeses, steak, ham, potatoes, tortilla Española and delicious desserts, these are only a few examples of what you might be served with during the tour. Since the stroll takes place in the most picturesque part of Madrid, the Walks of Spain Tapas Tour is also an excellent chance to discover the city. Meeting point: Plaza de la Villa. Dates: Every day in the evening, except Mondays. On Sundays, tours take place around noon. Madrid once again, since the bustling capital has some of the best tapas tours in Spain. This one begins with a walk through the Old Madrid, during which you can explore the most beautiful part of the city. Not only are the views enjoyable though, but also, of course, the flavors. 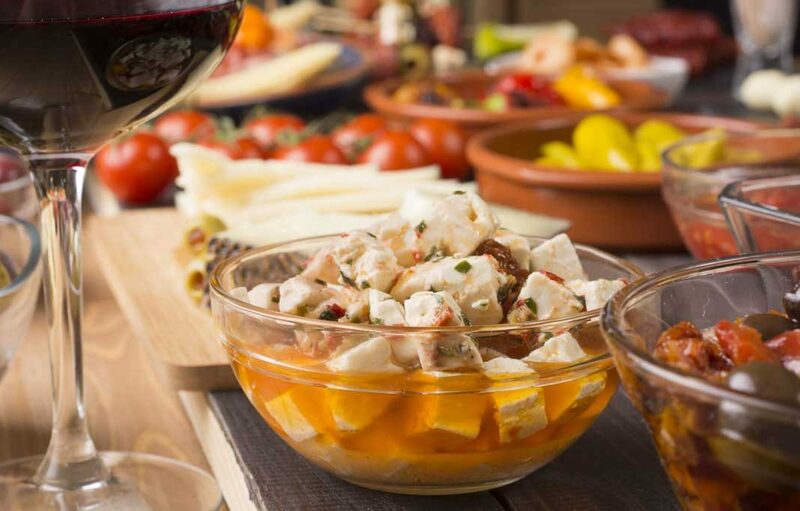 The guide will introduce you to an exciting selection of bars and restaurants, where you’ll have a taste of excellent Spanish wine, Sangria, tortilla, jamon (ham), gambas (prawns) and other famous tapas. You can also ask for recommendations as for what to do next in Madrid, so Spanish Tapas Madrid is an excellent way to begin your stay in the city. Meeting point: Puerta Del Sol. Dates: Check availability on the website. 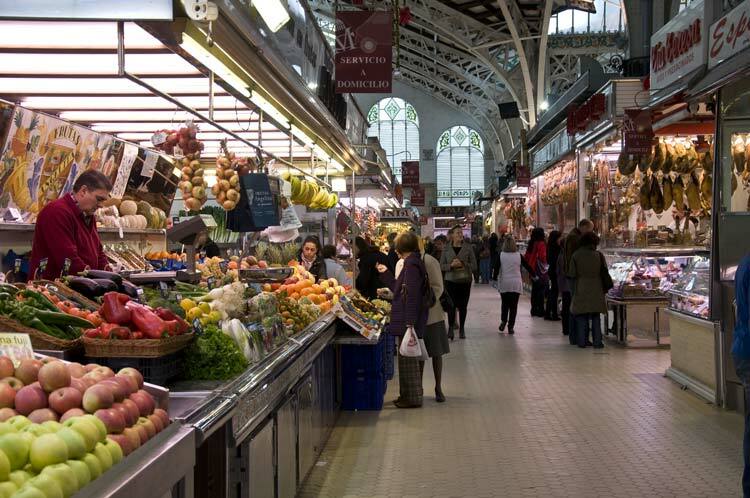 This pre-dinner walking tour around Barcelona will take you to such places as La Rambla, Gothic Quarter and La Boqueria food market. Barcelona’s highlights are already an attraction, but you’ll also get to stop in several lovely venues for tapas and drinks. Cheese, cured meat, bread and a variety of other typical Spanish tapas, all of that washed down with some tasty wine, beer or cider. All the time you’ll be accompanied by a specialized gourmet guide, who’ll introduce you to the flavors and beauty of Barcelona. After this tour, you’ll surely be able to spot the best tapas bars by yourself and dine like a local. Dates: Check the website for more details. Cost: Starting from 59 Euros (but since the prices are often updated, you should also check it). These tours are available both at lunchtime (13.00 – 16.30) and in the evening (20.00 – 23.30), which makes them especially convenient. Azahar Sevilla offers tours in different neighborhoods of Sevilla, each one of them includes a visit to several (usually three) bars and tasting various tapas as well as drinks. The guide will provide you with a list of food translations, in case you want to order something by yourself. 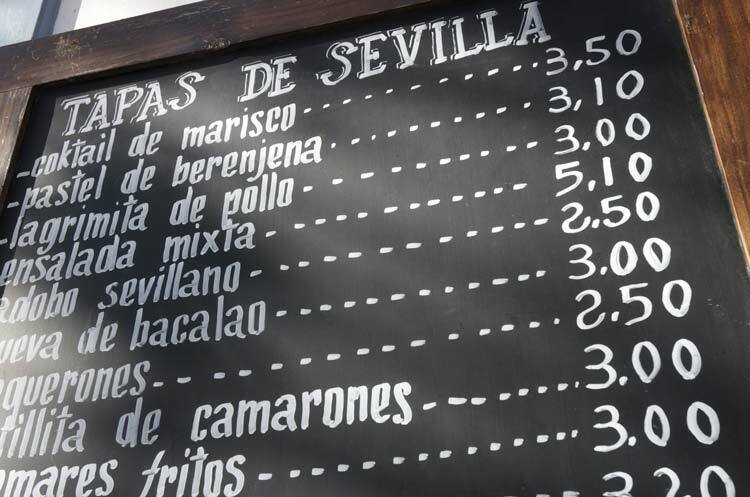 You’ll also get a list of “rutas de tapas” (tapas tours) to try out on your own another day. This way you don’t only get a short experience, but also gain new knowledge and inspiration for further discoveries. Meeting point: They vary; you can arrange it with the guide and for example meet at the hotel. Dates: Tours are available on most days, but to make sure and book, you should send an email to organizers (you can find the address on the website). Cost: Prices vary depending on a number of people and details concerning the tour, so to know more, you should also contact the organizer. The Guided Gourmet Tapas Tours are not only chance to taste typical Malaga’s delights, but also various foods from the whole Spain and modern dishes being a result of cultural mix. During the tour, you’ll visit traditional tapas bars, as well as contemporary, chic eateries, where Spanish cuisine combines with Asian flavors to create some new, exciting tastes. Iberian hams, Manchego cheeses, and lovely wines are only a few of the foodie’s treasures you’ll get to try. Besides, the tour’s a great chance to walk around Malaga and visit its top destinations. 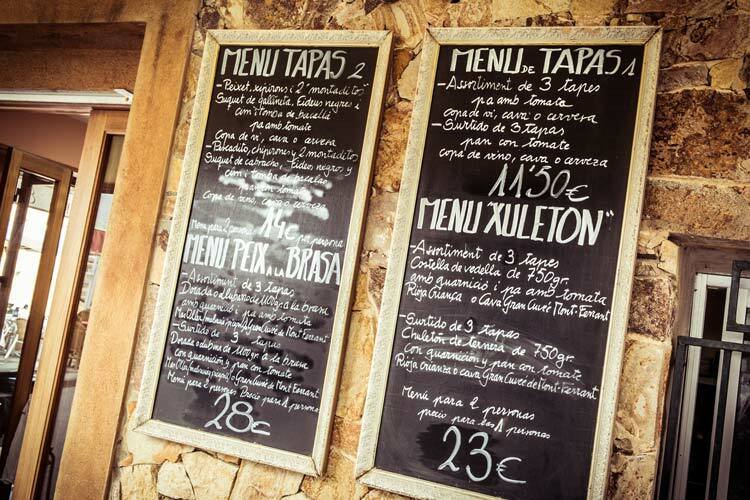 At the end of the walk, you’ll get a list of restaurants recommended by the organizers, so if you’re planning a longer stay in Malaga, the Guided Gourmet Tapas Tour is a great start. You’ll end the walk with new knowledge, happy stomach and plenty of ideas as for what to do during the rest of your trip. 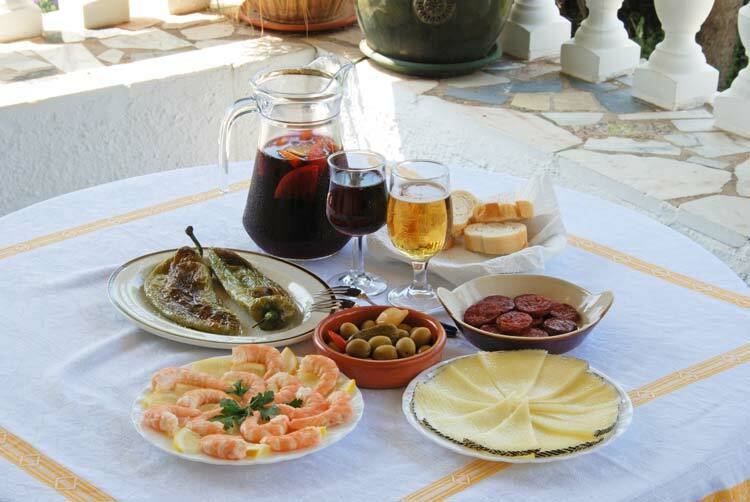 Tapas in Malaga organizes two different Gourmet Tours, Evening Gourmet Tapas Tour and Market and Gourmet Tapas Tours. Meeting point: Market and Gourmet Tapas Tours begin at the Mercado Central. As for Evening Gourmet Tapas Tour, contact the organizer to find out where’s the meeting point. Dates: Lunchtime or evenings. Evening Gourmet Tapas tours are held every day, Market and Gourmet Tapas tours every day except Sundays. Cost: 60-75 Euros, depending on the number of participants. Guided by a local from Valencia, the Tapas Tours are a fantastic opportunity to see the authentic, non-touristy side of this charming city. 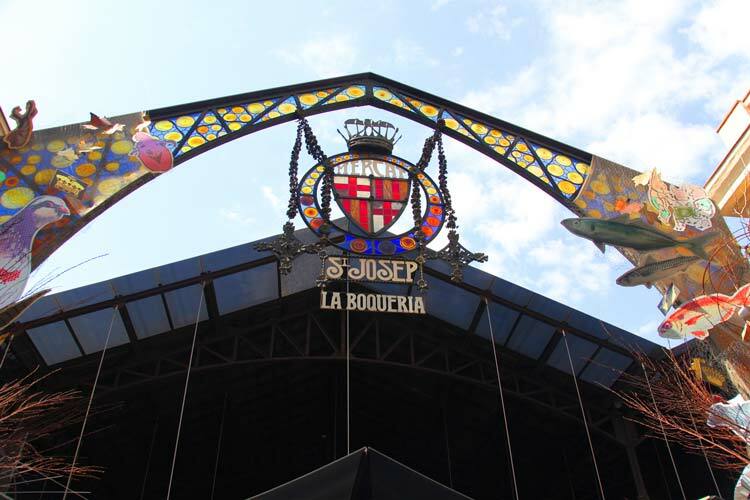 During the tour, you’ll stop in three restaurants and have a taste of real Spanish cuisine. If you want to discover traditional Spanish flavors, this Like-a-local walk around Valencia is one of the best tapas tours in Spain. Delicious wines and yummy appetizers are included, enough to make you full and glad. 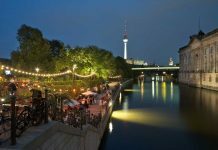 The guide will also share the unique knowledge about the city, especially the monuments you’ll pass by while walking between the restaurants. Meeting point: Contact the organizer. Dates: Contact the organizer to check the dates. The tours usually begin at 20.00, but you can discuss with the guide and choose another hour. Cost: Starting from 30 Euro. you’re missing out the real authentic like a local experience from our private walking guided Food Tours in Barcelona. Much more than a Tapas Tour. Food, History, Culture combined together. The perfect start and introduction to Barcelona.